Coffee in France is terrible: Why can’t the French brew a good cup of coffee? Why Is Coffee in France So Bad? 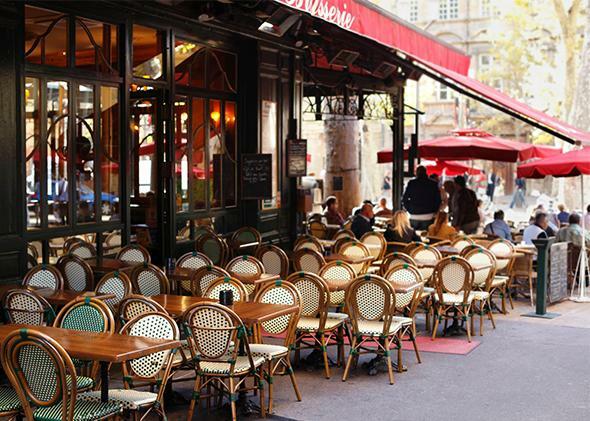 PARIS—There is one thing the guidebooks, the Francophiles, and the blissed-out romantics never tell you: The coffee in France is lousy. I once had a friend from Portland, Ore., tell me about spending some time on the French-Italian border for work. “We crossed over to France to get our croissants and went back to get our coffee. One country can’t do coffee, and the other can’t do pastries; you would think that they could get together and work it out.” Mention the word coffee to anyone that likes caffeine and has spent time in France and you’ll immediately get an eye roll. It simply isn’t a French strong suit. Aleaume Paturle, owner of Café Lomi, a coffee roaster turned coffee shop a little more than a year ago, has a few theories: First, it’s tied to France’s history of colonization, and secondly it has to do with larger, industrial-scale coffee companies. For a long time, coffee imported from the French colonies came in duty-free, making beans from the rest of the world more expensive. The French colonies produced mostly Robusta coffee, a cheaper bean with a stronger, harsher taste than Arabica, the other predominant coffee varietal. Because of the access to mostly Robusta beans, the French palate grew accustomed to this harsher varietal, and before coffee deregulation in the 1950s, Robusta comprised 80 percent of the French coffee market. More than 60 years later, that palate for a harsher bean still exists, and Robusta beans still account for around 50 percent of French coffee.